WPSU Penn State has earned seven Mid-Atlantic Emmy nominations for excellence in television programming and individual achievement from the National Academy of Television Arts and Sciences. Penn State student-produced work, meanwhile, has been nominated for seven 2016 College/University Production Awards, the equivalent of regional Emmy Awards, also awarded by the academy. The winners for both the Regional Emmys and the College/University Production Awards will be announced on Sept. 24 at an event in Philadelphia. 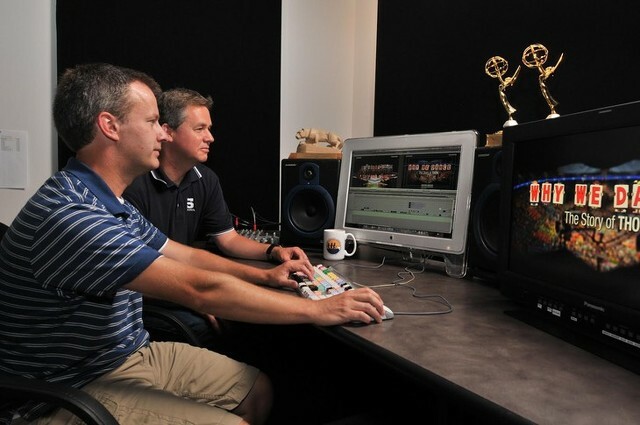 For WPSU, which has won 19 Mid-Atlantic Emmy awards since the chapter’s formation in 1981, 12 individuals were recognized through five production and two individual achievement categories. Penn State student-produced work receiving College/University Production Awards nominations includes four in broadcast categories and three in film categories. Programs produced in Penn State's College of Communications have earned nine College/University Production Awards over the past three years, with “Centre County Report” being selected as the best newscast each of those years. “Music Theatre Spotlight” showcased the Penn State musical theatre program’s senior class during a special broadcast on WPSU-TV. Children/Youth/Teen (19 and under) Program or Special: "Science-U: Backwash"
The “Science-U” series is an on-going collaboration between WPSU Penn State and the Eberly College of Science aimed at exciting children about science through hands-on experiments. During the “Backwash” episode, campers tested the bacteria levels in milk when drinking from the carton and a glass. Education/Schools – Program/Special: "You Can’t Say That"
“You Can’t Say That” documented Penn State students’ interactions – prompted from Dr. Sam Richards and Dr. Laurie Mulvey unique approaches to diversity instruction – during the University’s popular race and ethnic relations sociology class. Human Interest Program/Special: "Holding History: The Collections of Charles L. Blockson"
“Holding History: The Collections of Charles L. Blockson” told the story of historian and bibliophile Charles Blockson’s lifelong journey to unearth and preserve the history, culture and contributions of people of African descent. “Penn State Basketball: In the Paint” followed the Penn State men’s basketball team during the 2015-16 season and provided in-depth features, behind-the-scenes access and highlights. 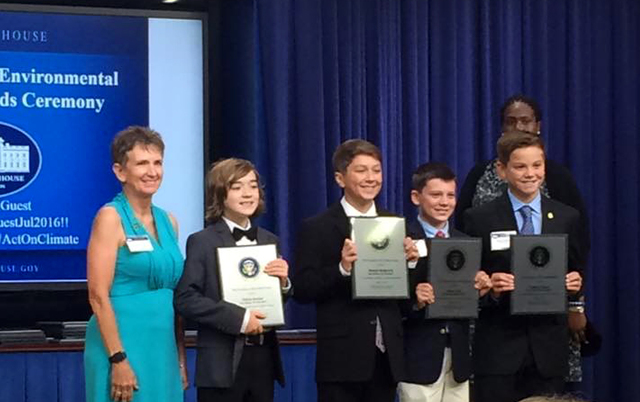 Four Park Forest Elementary students were at the White House on Tuesday to receive a national award for the school's environmental efforts. Adam Cooper, Adam Lieb, Robert Rothrock and Elijah Snyder, accompanied by Principal Donnan Stoicovy, represented Park Forest's Green Team in receiving the President's Environmental Youth Award for students' work to reach zero waste status at the school.